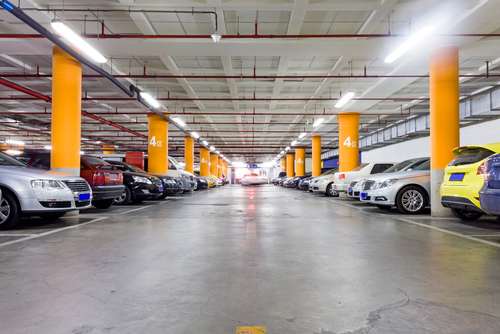 A former lawyer with Hunton & Williams has been awarded $6.3 million for a brain injury caused when she hit her head on a low-hanging pipe in the Atlanta parking garage used by people at the law firm. The lawyer, Aja Diamond McCoy, suffers “unpredictable and severe” pain from the December 2013 injury, although her cognitive skills are fine, according to one of her lawyers, John Mabrey. He spoke with the Daily Report about the verdict this week. Jurors awarded a total of about $8 million, but the amount was reduced because they deemed McCoy to be 21.75 percent at fault. McCoy’s last name was Moore when she practiced at Hunton & Williams. The firm is now known as Hunton Andrews Kurth. McCoy had backed into the parking spot and couldn’t see the fire sprinkler pipe about 5 feet above the sidewalk next to her spot, according to Daily Report. The pipe did not violate building code at the time it was built. A paralegal at a different firm had testified by video that she also had hit her head on the pipe when she backed her car into a space next to the one where McCoy had parked. The garage is owned by a limited partnership called JPMCC. Mabrey told the Daily Journal the defense would not appeal, but he did not explain why.